Plaintiff's motion to strike 25 of 31 newly-disclosed defense witnesses was granted as to all but 3 witnesses. "[The scheduling] order did not provide for automatic reopening of discovery after the claim construction ruling. Second, even if it did, [defendant] has abused that opportunity by trying to drive a freight train through the eye of a needle. . . . [Defendant's] addition of the new witnesses would be an abuse of the process even were [defendant] reading the scheduling order correctly: [defendant] left [plaintiff] with only five days to attempt to obtain discovery regarding the newly-identified witnesses and essentially shifted to [plaintiff] the burden of asking for an extension of discovery and, in all likelihood, the trial date. . . . This alone warrants striking [defendant's] newly-disclosed witnesses, with the limited exceptions identified below." Plaintiff's motion in limine to exclude terms like "monopoly," "milking strategy," and "milking the brand" was granted where the "invocation of such terms would unfairly prejudice [plaintiff] under Rule 403 by suggesting that [plaintiff's] enforcement of patent rights is unfair or unlawful and improperly inviting the jury to view [plaintiff] in a negative light." The court denied defendants' motion for a protective order for privileged documents concerning opinions of counsel in part because defendants' opinion counsel also served as trial counsel. "[Defendants have] cast doubt on the credibility of the opinion letter by asking the drafter of the opinion to become an active member of the trial team. . . . [Opinion counsel's] active participation on the trial team calls into serious question whether there is a 'fundamental difference between these types of legal advice' in this case. [Plaintiffs are] entitled to discover the extent to which advocacy and litigation strategy influenced [opinion counsel's] opinion. . . . The waived communications include those between [opinion counsel] and the client, [opinion counsel] and the rest of the trial team, and the trial team and the client. [Defendants have] also waived immunity for all work product that references such communications, and for all work product on the same subject that was communicated to the client." The magistrate judge recommended granting defendant's alternative motion to transfer venue of plaintiff's false marking case to the defendant's home venue. "[T]he convenience of the parties strongly favors a transfer. . . . [P]laintiff is a qui tam plaintiff and he was not personally injured or involved in the alleged false marking. Defendants, on the other hand, are intimately involved in the claims and its principal place of business, as well as its witnesses and documents, are located in Missouri." Plaintiff's complaint alleging expired patents as the basis for a false marking claim did not fail to state a claim under 35 USC § 292. "[Defendant] contends that its challenged articles are not 'unpatented' because they practice a once-existing, but now-expired, patent. . . . All of [the] perceived evils [described in Forest Group, Inc. v. Bon Tool Co., 590 F.3d 1295 (Fed. Cir. 2009)] are present when a patentee continues to affix the 'patent' designation to an article even after it has entered the public domain by reason of the patent’s expiration. . . . It is also worth noting that in part Section 292(a) refers to a marking that contains 'the word "patent" or any word or number importing that the same is patented'. That use of the present tense 'is' appears to undercut [defendant's] argument as to an article that once was protected by a patent but no longer is." The court granted defendants' motion for summary judgment of lack of constructive notice where plaintiffs could not establish compliance with the marking requirement. "[E]vidence of current company policy and practice, without any other evidence of compliance with the marking requirement during the relevant time period, is insufficient to overcome a motion for summary judgment. . . . The plaintiffs merely speculate that molds sold to other . . . customers would have been marked based on their policy and practice. Importantly, they fail to offer any photographs, affidavits, testimony, or supplementary declarations from any . . . customers confirming marking on their molds." The court denied defendants' motion to stay pending the Federal Circuit's decision in Stauffer v. Brooks Bros., 615 F. Supp. 2d 248 (S.D.N.Y. 2009). "If the issue in Stauffer. . . is novel as defendants assert, then it may be appealed beyond the Federal Circuit to the Supreme Court, leaving a final decision on the constitutional issue in Stauffer years in the future. . . . Indeed, since [plaintiff] claims to be a direct competitor, there is also the possibility that a late-assertion of actual damages will render the issue in Stauffer a moot point here. . . . Even defendants argue only that any decision in this case could be guided by a Federal Circuit decision on the Stauffer appeal." Defendants' motion to stay plaintiff's false marking claims pending the Federal Circuit's decision in Pequignot v. Solo Cup Co., 646 F. Supp. 2d 790 (E.D. Va. 2009), was denied. "[W]hile defendants claim the appeal in Pequignot raises issues regarding some relevant standards used in deciding false markings cases, they fail to explain why a decision on those standards justifies a stay in this case. . . . Such uncertainty regarding whether a decision in the other cases will actually simplify the issues in this case weighs against staying the case." In denying defendants' motion to stay pending the resolution of Stauffer v. Brooks Bros., 615 F. Supp. 2d 248 (S.D.N.Y. 2009), and Pequignot v. Solo Cup Co., 646 F. Supp. 2d 790 (E.D. Va. 2009), and Brule Research Assoc. Team, L.L.C. v. A.O. Smith Corp., Case No. 08-C-1116 (E.D. Wis. 2009), the court found that "[m]ost cases, even those turning principally on discrete issues of law, are dependent on their facts, leaving the distinct possibility that a party can distinguish otherwise controlling decisions based on factual differences. Defendant has not provided any discussion of why the facts in this case match-up so closely with those in Stauffer, Pequignot or Brule Research, to discount this possibility in this case." The court granted plaintiff's motion to exclude the testimony of defendant's inequitable conduct expert. "[Defendant] does not identify a single case where [its expert] opined on whether a patent applicant committed inequitable conduct or breached the duty of disclosure, opined on what the patent examiner believed or would have done had certain references been before the examiner, or suggested that the USPTO’s limited resources called into question the validity of an issued patent. . . . In fact, courts excluded such testimony from [the expert] in many of the cases cited by [plaintiff]. Consequently, the Court accords no weight whatsoever to [defendant's] suggestion that [its expert's] testimony is admissible because other courts have permitted similar testimony from him." Patent requiring "trial and error" and "working backwards" to calculate the value of a claimed variable was invalid for lack of enablement. Defendant's motion for summary judgment of invalidity for lack of enablement was granted. The patent claimed a light bulb with "a coating . . . having a transmittance level in substantial accordance with" a formula containing the variable "N." "[P]laintiff has conceded that the N value of a bulb can not be measured, and instead can only be assumed . . . The person attempting to make the bulb can then only engage in trial and error to see if he or she can make a bulb with a coating that emits a light that is substantially similar to a desired daylight. Should the maker be successful in doing so, only then can the maker work backwards to determine whether or not the coating of the bulb comports to the formula disclosed in [the patent-in-suit]. Because the [patent] does not describe how to ascertain the appropriate transmittance level for the coating in a manner that can be followed by a person skilled in the art of bulb making, the Patent is not enabled." The counterclaim was filed by Suntech Optics, Inc. in response to accusations of infringement of patents D580963, 5387949, and 5638145. Data Storage Claims Indefinite for Failure to Disclose "Sufficient Algorithmic Structure"
The court granted in part defendant's motion for summary judgment of indefiniteness as to plaintiff's data storage patent to the extent it claimed a "means for creating a vertical partition for each and every column of the database table . . . " "Given the narrowly recited function of 'creating a vertical partition for each and every column of the database table, each vertical partition having data values for only a single column of the database table,' the broad disclosure of a 'table-level object' and the function it performs is not sufficient algorithmic structure. The disclosure of a 'table-level object' fails to identify the data structures and methods that act on those structures. The specification merely provides a non-specific reference to a software tool and fails to disclose the algorithm being executed to break down the data." The court granted defendants' motion for summary judgment of noninfringement as to one of plaintiff's electronic gaming patents. "Because the parties agree that at least some of the remaining steps in the method claim are performed by the gaming machine, the standard for joint infringement by multiple parties of a single claim . . . comes into play. [Defendant] cannot be liable for infringement of the [patent] unless it exercises control or direction over the player's performance of the 'making a wager' step, such that the law would hold [defendant] vicariously liable for the player's action. . . . [T]he court rejects [plaintiff's] argument that [defendant] controls or directs the behavior of players by providing free credits to induce gambling at [defendant's] machines. In addition, because the 'awarding prize' step is not performed when [defendant's] employees test gaming machines, [defendant] does not perform all of the steps of the claimed method during testing, as required for a finding of infringement." In Trial of Declaratory Relief Case, Defendant to Proceed First and Neither Party May Refer to Itself as "Plaintiff"
In a declaratory relief action, the court ordered defendant to present its claims first and instructed that neither party could refer to itself as the plaintiff. "[Plaintiff's] claims are defenses to liability. Thus, for [plaintiff] to establish its claims, the jury must first understand the meaning and operation of [defendant's] patents. In this situation, the most 'orderly and sensible' order of proof is for [defendant] to establish the alleged scope and meaning of its patents after which [plaintiff] can present evidence in support of its claims. . . . Both [plaintiff] and [defendant] are the 'plaintiff' on certain counts in that they are the party who brought suit. Given the presence of claims, counterclaims, and third-party claims, it would not be helpful for any party in this case to refer to itself as 'plaintiff.'" Plaintiffs' motion in limine to exclude evidence of defendants' costs and expenses regarding sales of their products was denied where defendants had produced 5 years of tax returns in discovery and 3 more years of returns before the final pre-trial. "Defendants . . . assert that Plaintiffs never raised a discovery dispute with the Court nor filed a motion to compel further detail or supplementation. Tax returns, filed under the penalty of perjury, are evidence which the jury can consider for the calculation of profits and/or losses." The court denied defendant's motion to stay pending ex parte reexamination. 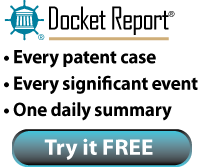 "[U]nless all claims of the patents-in-suit are invalidated through reexamination, the reexamination process may actually complicate the above-captioned case by creating additional prosecution history estoppel and disavowal arguments that must likely be addressed, such as during claim construction. To convince this Court that a stay will actually simplify a case, the requesting party must do more than merely proffer oft-cited reexamination statistics and generic judicial efficiency arguments. [Defendant] has not done so." The court granted plaintiff's motion to compel the production of defendants' marketing and distribution strategy information for its ANADA products. "[Plaintiff] maintains that [defendant] has followed, what [plaintiff] believes is the general model for generic brand companies; i.e., to intrude upon and 'capture' the brand market. . . . The requested information may lead to the discovery of relevant evidence regarding whether [defendant] encourages its distributors/end-users to infringe." The court severed and dismissed without prejudice all but the first named defendant where plaintiff asserted 11 patents containing 694 claims against 4 corporations. "No conspiracy is alleged. No joint action is alleged. No common transaction or occurrence is alleged. Even crediting plaintiff’s argument that this dispute involves an industry standard that supposedly reads on the patents-in-suit, this does not entitle plaintiff to improperly circumvent filing fees and bring a single massive civil action against any entity that manufactures products using that standard. For each of the hundreds of accused products, the all-elements rule for infringement must still be applied. The burden such a maneuver would place on a single judge -- who would get credit for only one civil action under our assignment system -- would be erroneous." Plaintiff's motion for summary judgment that its infringement claims were not barred by prosecution laches was granted. "[T]his Court concludes that [plaintiff] is correct and that the Supreme Court has addressed the issue of intervening rights. In both [Crown Cork & Seal Co. v. Ferdinand Gutmann Co., 304 U.S. 159 (1938)] and [General Talking Pictures Corp. v. Western Electric Co., 304 U.S. 175 (1938)], the Supreme Court held that prosecution laches would not apply absent intervening adverse rights. Although the precedent is old, it is controlling. Therefore, this Court likewise finds that to prevail on a claim of prosecution laches, the defendant most prove both: 1) unreasonable and unexplained delay, and 2) intervening adverse rights. . . . [Defendants] failed to identify any intervening rights during discovery." In granting plaintiff's motion to dismiss defendant's counterclaims concerning unasserted patent claims for lack of subject matter jurisdiction, the court rejected defendant's argument that "because it has asserted an inequitable conduct claim, each and every claim of the [patent-in-suit] is subject to the Court’s jurisdiction. While a court’s determination of inequitable conduct in relation to one or more claims of a patent renders the entire patent unenforceable, [defendant] has not demonstrated to the Court that an actual controversy exists with respect to the unasserted claims. . . . [Defendant] makes passing reference to one phrase contained in the [patent-in-suit] which it asserts demonstrates that a feature of the invention is necessarily 'covered by all of the claims,' but again provides no supporting analysis for this contention." The court sanctioned plaintiff under FRCP 26(g) because plaintiff did not conduct a reasonable search for responsive documents, but instead relied upon prosecution counsel's statements that it was "highly unlikely" there were responsive documents not already produced in counsel's hard copy and ESI files. "The Court concludes that the appropriate sanction here is to require Plaintiff to allow Defendants to conduct a quick peek of all hard copy [and ESI files from prosecution counsel] that may contain any information at all responsive to [certain document requests]. . . . Plaintiff is not permitted to exclude any documents from this quick peek on the grounds that they are not relevant or protected by any privilege." Plaintiff's motion in limine to exclude any new theories of inequitable conduct, including 22 new prior art references disclosed at the pretrial motion deadline, was granted. "[Defendant] does not explain why it waited until days before the final pretrial deadline to carefully review the discovery provided by [plaintiff] years earlier."